There is a new welcome sign at Point Pelee in three languages: English, French, and Anishinaabemowin. The new sign was developed in partnership with Caldwell First Nation and aims to recognize the important connection the people of Caldwell First Nation have to the lands that now form part of the park. In 1922, shortly after the establishment of the Park, members of Caldwell First Nation living within the Park boundaries were forcibly expelled from their homes, severing their ties with the lands and waters that they had stewarded for thousands of years. As families were displaced, traditions and language were lost. The Government says that they are committed to reconciliation and nation-to-nation relationships with Indigenous peoples, based on a recognition of rights, respect, co-operation, and partnership. 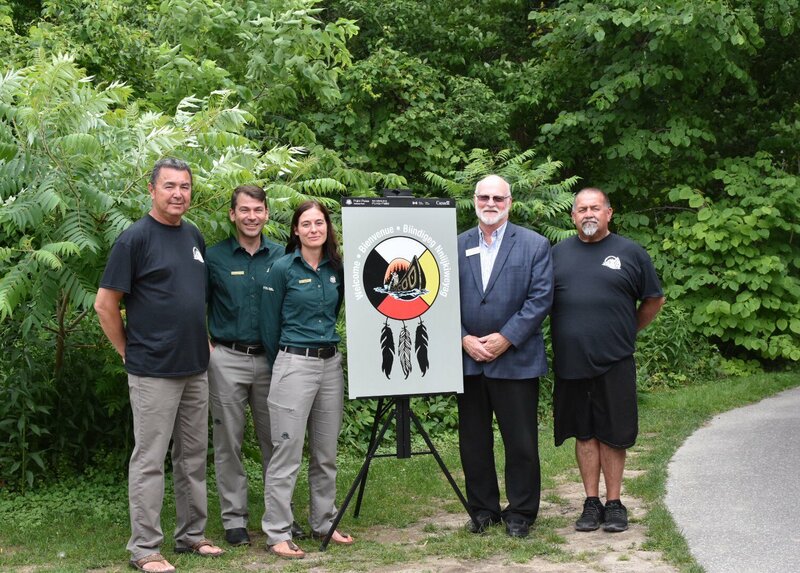 “We recognize that Indigenous peoples have inhabited these lands since time immemorial and remain integral to Point Pelee National Park’s future. Today, we are proud to once again welcome Indigenous peoples to their traditional homeland in their own language. The new sign at Point Pelee National Park provides a welcome to all visitors and demonstrates Parks Canada’s commitment to strengthening its partnerships with local First Nations communities, to ensure the care of the land for future generations,” said The Honourable Catherine McKenna, Minister of Environment and Climate Change and Minister responsible for Parks Canada. Working together with more than 300 Indigenous communities across Canada, Parks Canada and Indigenous peoples are partners in conserving, restoring, and presenting Canada’s natural and cultural heritage. “We are still here. Caldwell First Nation, people of the Three Fires Confederacy, still walk the lands of our ancestors. I want to acknowledge the strong and resilient spirit of our people. I also want to acknowledge the four directions and all the life that our Mother has given to us. Gratitude for all the helpers who work to keep our Mother strong, protecting the lands, water, air and all life,” said Chief Mary Duckworth, Caldwell First Nation.